Adelaide is one of Australia’s hottest destinations, offering a cocktail of sophisticated culture, heritage architecture, abundant natural delights and a vibrant food and drink scene. With so much to choose from, we’ve narrowed down the 10 attractions that you absolutely must tick off on your trip to Adelaide. The South Australian capital is nicknamed ‘The City of Churches’, but its most famous cathedral is dedicated to sport, a venue that routinely draws a crowd of 50,000-plus to worship at the altar of cricket and Australian football. 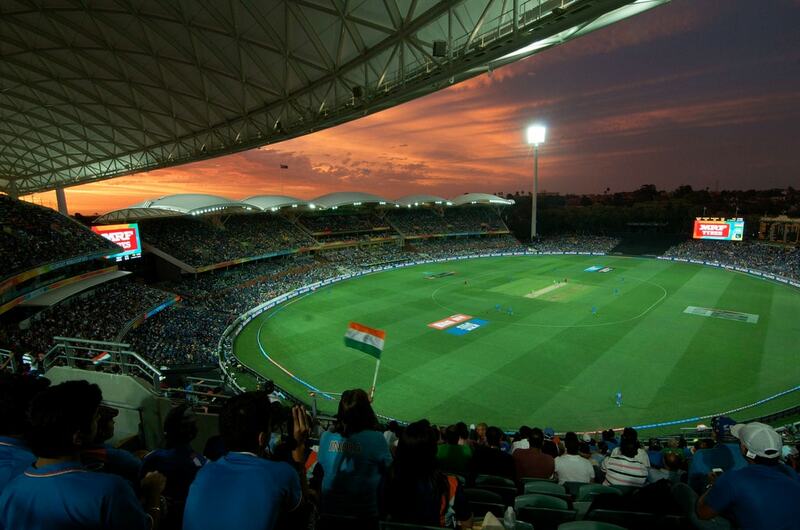 Rock up in summer for a game of cricket — either the Australian national team or the Adelaide Strikers Big Bash franchise — or in winter to see the city’s beloved AFL clubs the Adelaide Crows and Port Adelaide Power. If there’s one thing South Australians love more than sport, it’s wine. 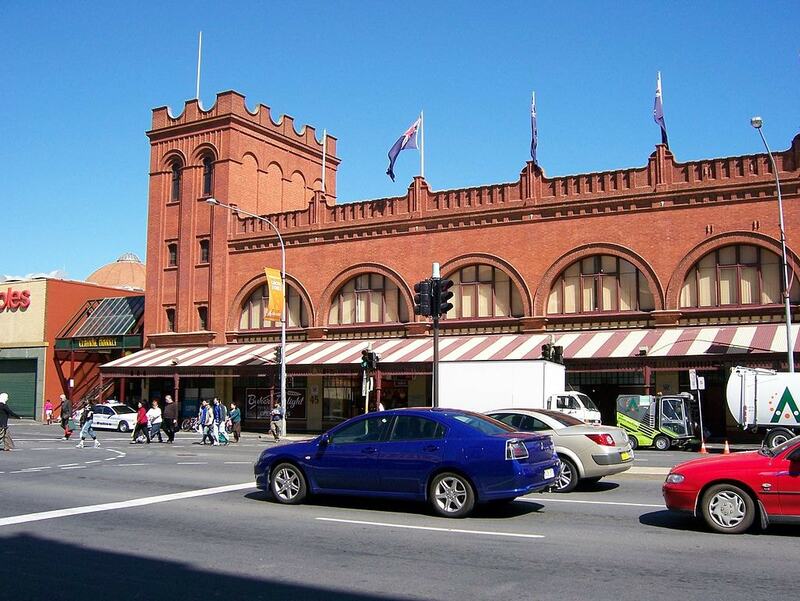 With a clutch of world-class wine regions sitting right on Adelaide’s doorstep, who could blame them? Dive headfirst into the wine-making process at this modern exhibition known simply as the Wine Centre, which also showcases some of Australia’s finest drops, alongside a fresh seasonal menu once you’ve finished your tour. The name sounds very British, but Victoria Square’s history dates back a lot further than European settlement. The local Indigenous people used ‘Tarndanyangga’ as a meeting place for centuries before colonisation. The British then converted the space into a focal point of the newly created city in the 1850s, and the square was upgraded in 2014, adding new lighting and revamping the historic fountain. Adelaide’s most popular city beach is just a 25-minute tram ride from the city centre, which drops you off metres from the sand at Moseley Square. 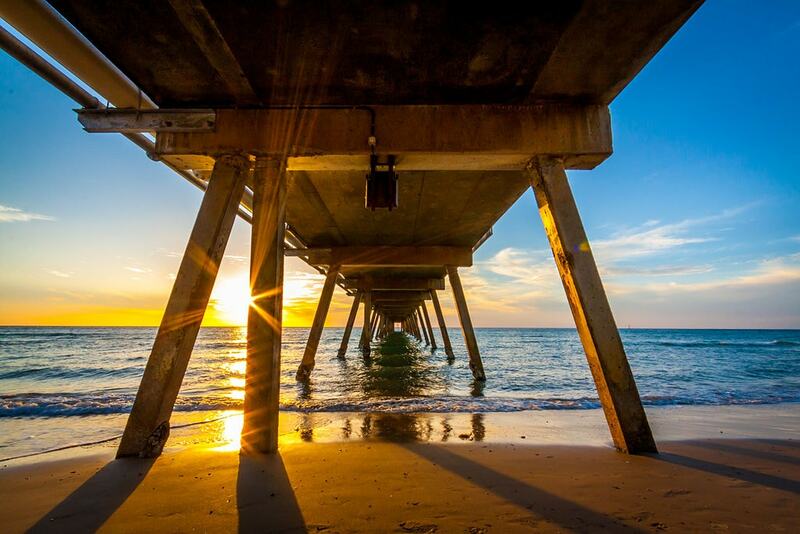 It’s not just the miles of golden sand, the picturesque jetty and the stunning sunsets that pull huge crowds to Glenelg — it’s the trendy boutiques, heritage hotels and dozens of cafes and eateries along Jetty Road, too. 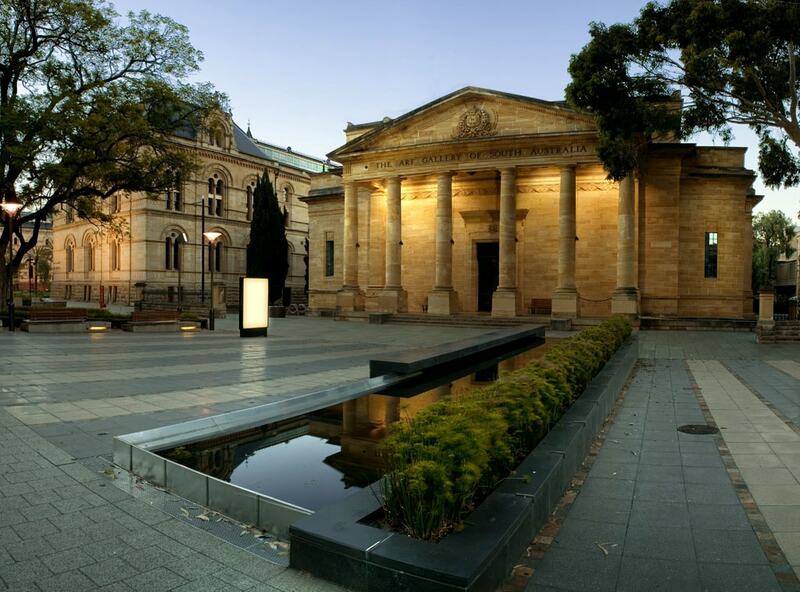 The South Australian Museum has expanded the minds of visitors for more than 150 years, curating a collection of four million items — including the largest collection of Indigenous Australian cultural artifacts anywhere in the country. The best part? Entry is free! Check the website for free guided tours as well as events and temporary exhibits. Adelaide’s not short on wildlife reserves — there’s Cleland Wildlife Park in the Adelaide Hills, the open-range Monarto Zoo an hour’s drive out of town and the gorgeous Botanic Gardens on the northern edge of the city centre. But the Adelaide Zoo is perhaps the pick of the bunch, housing 2500 animals across 250 species. The star attractions are a pair of giant pandas called Wang Wang and Fu Ni. Everyone loves a good ghost story, and the Adelaide Gaol contains plenty of them — 45 people were executed at the site following the first hanging in 1840. 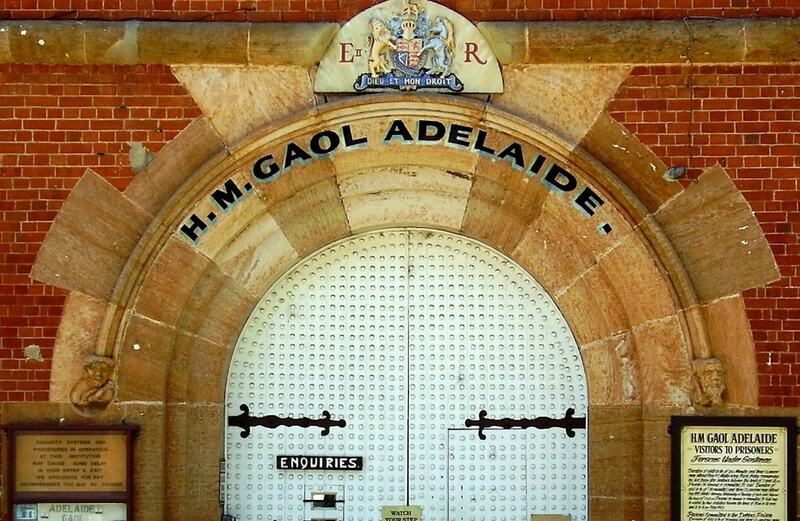 The prison was decommissioned in 1988, but that wasn’t the end of South Australia’s second oldest surviving building. Adelaide Gaol lives on today as a museum and function centre, complete with three different spooky guided tours. There are immigration museums all over the world these days — Ellis Island’s offering in New York is probably the most famous — but Adelaide’s Migration Museum was the first of its kind anywhere on earth when it opened in 1986. The facility promotes multiculturalism by tracing the social history of the generations of new arrivals that have made such immense contributions to South Australian society.